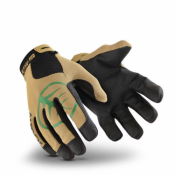 A great heavy duty glove that is lightweight enough to allow full dexterity, the Briers Leather Gauntlet Gardening Gloves allow the user to carry out all general gardening tasks as well as the tougher and more awkward tasks. The Briers Leather Gauntlet Gardening Gloves are made from a high quality soft leather, with protection across the palm and fingertips. 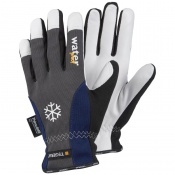 The product code for these gloves is 0212. The Briers Gauntlet Leather Gardening Gloves are supplied in a Large size. 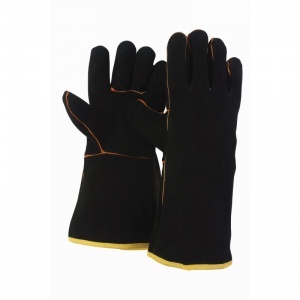 The Briers Gauntlet Leather Gardening Gloves are supplied in pairs. These gauntlets appeared to be robust and well-made, but the large size is the only one available, and is very large, so I had to return them. Well made strong leather gloves. Lose a bit of feeling because of the thickness but offer good protection. Excellent service and delivery by my old firm Royal Mail. Gloves are just want I need to protect my lower arms from thorns. My neighbour is over the moon with his pair. If there is a criticism to be made he has said not very good for delicate work but hey ho I think mine are great. Many thanks and would buy again. As a new customer more than happy with speedy delivery & fantastic value for money. Strong gloves, which I'm sure will last. Super service. Delivered by post in 2 days. Product good and sturdy. Ideal for dealing with roses, hawthorn, holly etc. as they protect not only the hands but the lower part of the arms.